A secret operation saved hundreds of thousands of Muslim manuscripts in Tumbuktu’s ancient libraries from destruction by Mali’s militants. Conservationists breathed a sigh of relief in late January when French and Malian soldiers confirmed that the majority of the ancient manuscripts in Timbuktu that were thought to have been burned by Ansar Dine militants were in fact, safe. For months, Malians had been running a secret operation to evacuate the manuscripts, some of which date back as far as the 10th century, with the help of the Prince Claus Fund’s Cultural Emergency Response, as well as other organizations, resulting in 95% of the manuscripts being saved. No one knows exactly how many manuscripts exist in what was one of Islam’s intellectual and spiritual capitals in the 15th and 16th centuries — some say 100,000 while others say 300,000. Among the largest is the Ahmed Baba Institute, which Bohas says is the country’s National Library. The institute has collected 29,000 manuscripts sourced not only from Mali, but also from Senegal, Mauritania, Burkina Faso, and in the case of another collection, Andalucia. It has so far catalogued 9,000 of these. 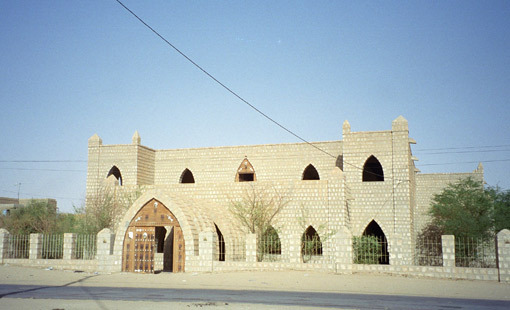 One of the former directors, Abdelkader Haidara, who acquired many of these manuscripts for the Institute now runs his own family library, the Mamma Haidara, which has 45,000 manuscripts of which 6,000 have been catalogued. The London-based Al Furqan Foundation has published 4,000 of these. Haidara also founded a company, SAVAMA, which provides help to the owners of small libraries (500 works or less) to take inventory of their manuscripts. Besides the overwhelming number of manuscripts, the subjects covered in them are equally numerous — from correspondence between rulers and documents relating to commerce, to books on theology, law, history, grammar, astronomy and astrology, medicine, prophetic traditions, as well as stories. There are also a number of manuscripts called ajamis, which are written in Arabic but are in fact in African languages such as Songhay, Bambara or Peul. The university in Lyon where Bohas teaches, the Ecole Normale Supérieure, recently signed its second three-year partnership with Haidara so that the academics can study and publish “the marvelous things in the library,” said Bohas, who is working with a team of about 10 people with the goal of translating (into French) 12 books in 3 years. Bohas has already overseen the publication of 11 books for Arabists and has an agreement to publish manuscripts in translation for the general public with Actes Sud. Published last November, the first of these — an Alexander romance (a collection of legends about Alexander the Great’s exploits, written in many languages between the 3rd and 16th centuries) — he happened on by pure chance. Besides classical literature there are a number of novels — at least thirty in the Mamma Haidara library alone. This disproves the “fable” of an exclusively oral tradition in sub-Saharan Africa that Africanists, who for the most part couldn’t read a single word of Arabic, “invented,” said Bohas. These manuscripts need not to be “bemoaned, but worked on,” he added. But working on these manuscripts takes time and money, more specifically about 200,000–300,000 euros to work on a 3-year project.